These days, there is no shortage of tool watches – tough, water-resistant, and so on – for the modern-day adventurer. But, should you ever find yourself lost and thirsty in the wilderness, how many of them would be able to purify the murky water that you might find yourself scooping from a ditch? 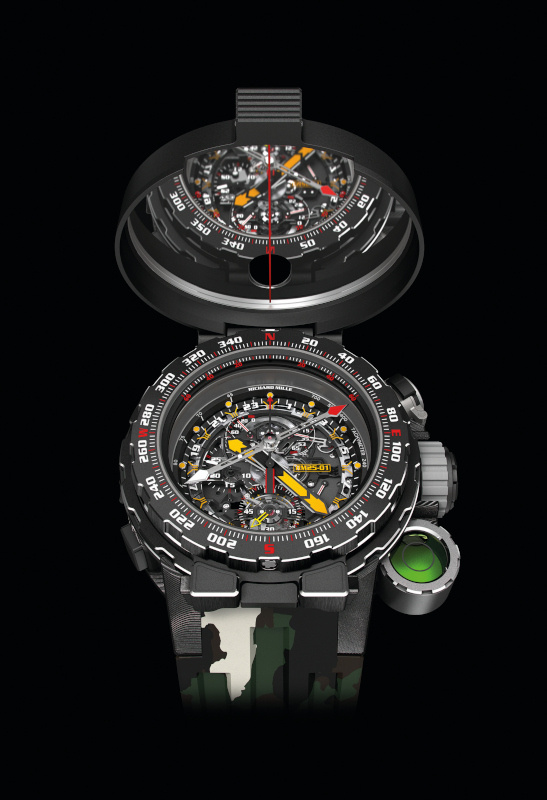 Enter the RM 25-01 Tourbillon Adventure Sylvester Stallone, the latest over-engineered brainchild of the ultra-high-end watch specialists at Richard Mille. 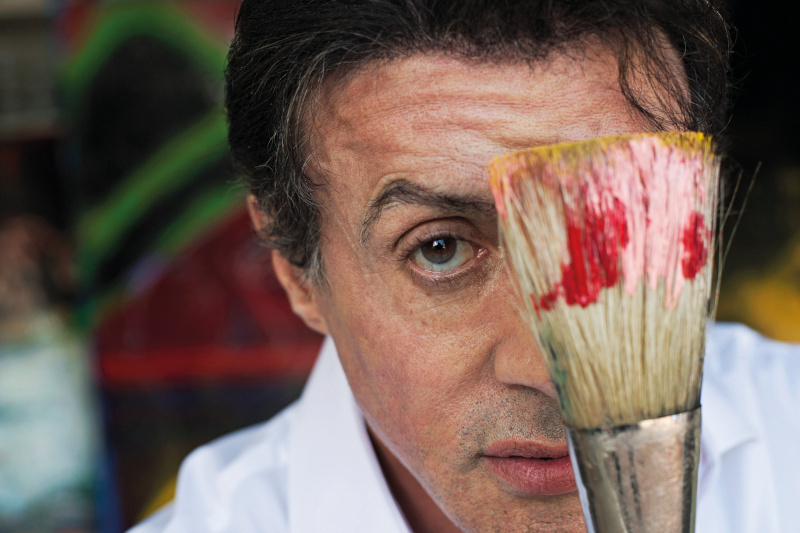 The brand’s first exploration-themed timepiece is, as its name suggests, designed in collaboration with larger-than-life action icon, director and – no kidding, he paints – artist, Sylvester Stallone. One of its many adventure-ready features is a small hermetic chamber that can hold up to five water-purification tablets – each of which can make a litre of any water potable within 30 to 120 minutes, depending on how filthy the liquid is. No wonder Stallone himself called it “the ultimate explorer’s watch”, in an Instagram post. 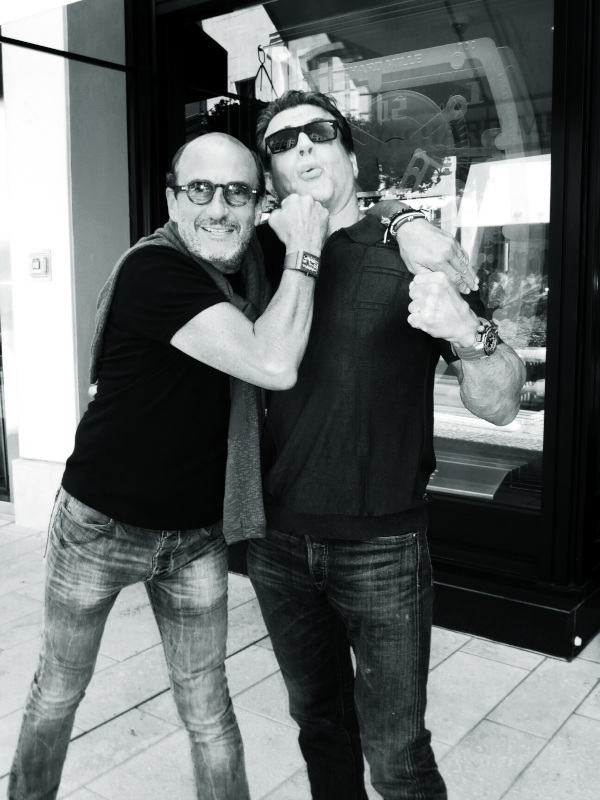 “The RM 25-01 is like no other watch that has existed before,” says brand founder Richard Mille (pictured with Stallone), in the press notes for the timepiece. It’s a big claim, considering that his company has been behind some of the world’s most insanely engineered timepieces, which boast cutting-edge features such as g-force sensors, high-tech materials such as those used in Formula One cars, and shatterproof laminated sapphire crystals inspired by armoured vehicles. But you would expect nothing less of a timepiece co-created with the man who’s synonymous with tough characters such as John Rambo, a war veteran who’s most at home in dense jungles, firing M60s. Or indeed, one that costs more than a million bucks. Aside from the aforementioned sealed capsule for water-purifying tablets, the mammoth watch – a 50.85mm model that Stallone enthusiastically describes as “a beast” – also boasts a host of other adventure-ready features. These include a spirit level to ensure that the watch is perfectly horizontal for better directional readings, and a compass with which to take some of those readings. This brings us to another unusual aspect of the RM 25-01: its round case. Anyone with the slightest interest in horology will be familiar with Richard Mille’s signature tonneau-shaped cases, whether they are crafted from titanium or gold, or high-tech composites such as Carbon TPT (Thin Ply Technology) or Quartz TPT. The round shape of the RM 25-01 was determined by the fact that it needed to hold a compass – rather than due to any woefully pedestrian reason; statistics show that 80 per cent of watches sold are round (according to experts such as Paul Boutros, international strategy adviser for auction house Phillips). Indeed, since its founding in 1999, Mille’s ultra-premium brand has bucked the global preference for circular cases. It was only several years later, in 2008, that the company announced its first round watch, RM 25, which was – like its latest Stallone-themed evolution – created out of necessity. The dive watch is water-resistant to 300m, a feature that’s difficult to achieve in non-round watches because of the difficulty in perfectly sealing edges. On the following pages, we’ll take you through the features of Richard Mille’s first adventure-themed watch, as well as some of the brand’s other complicated, round timepieces.